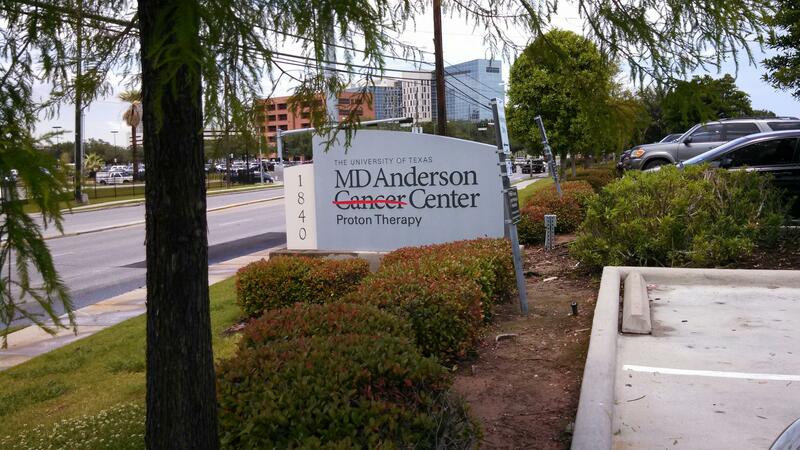 First Day at MD Anderson 4/8/2013 | Travis the Warrior --- Kickin' Cancer! We had a long day of appointments. We started out registering as a new patient at the Proton Therapy Center and then headed over to meet with our Radiologist-Oncologist. Everyone was very nice and helpful. Dr. McAleer is very nice and explained more about how the process will go. We have the simulation appointment for Tuesday morning and they also scheduled an appointment with the Pediatric Oncologist. After these appointments, they will be able to officially formulate our treatment plan. They did let us know that we will be scheduled for 31 treatment sessions which means that we will not finish until after Memorial Day. Bummer! But hey, we are here and will do what it takes to make sure the treatment is successful. We stopped by the Homewood Suites hotel in Westchase which is where we plan to spend the majority of our time (if not all) after this week. We drove over at rush hour to see how long it will take. It is not any worse than San Diego rush hour so things should be manageable. We talked with the General Manager and staff and they answered a bunch of our questions. They even invited us to stay and have dinner on the hotel. They are very nice people and they made us feel at home before we even checked in there so we comfortable there. We have to get up early for our 8 AM appointment tomorrow!